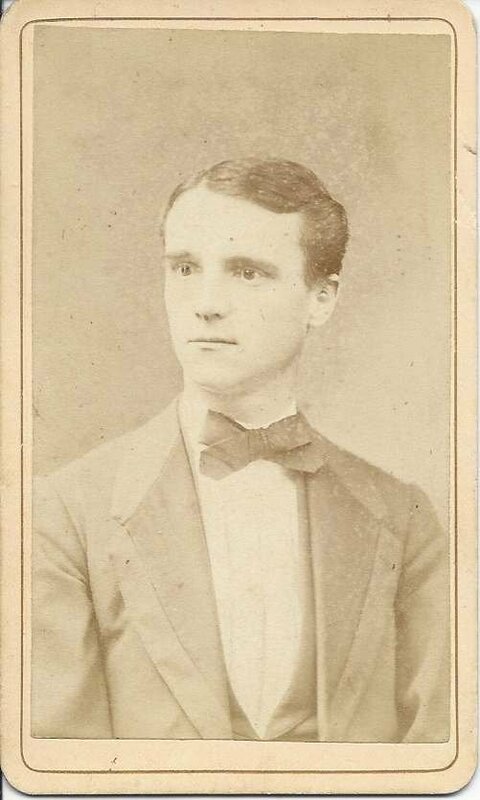 Carte de visite of a man identified on reverse as Mr. John Blair. 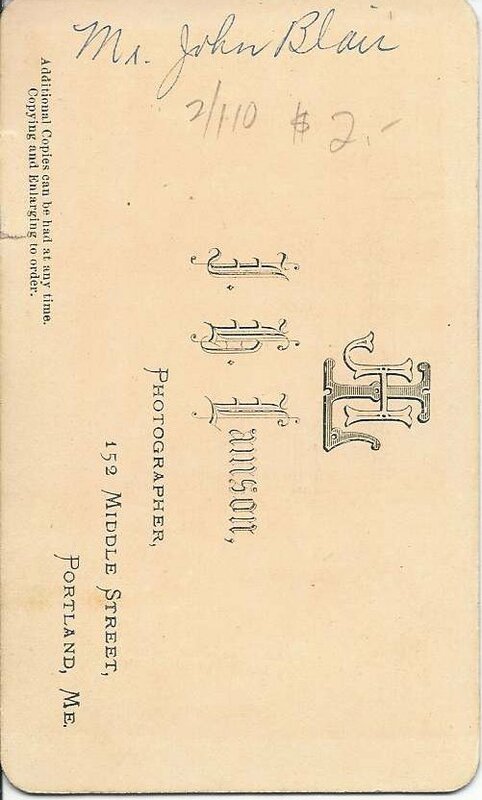 The CDV was produced by the Lamson studio of 152 Middle Street, Portland, Maine. Researching online, I found a few possibilities for a John Blair of the approximate age in the Portland area. Portland was, and still is, a destination city in Maine, so John Blair may have come from anywhere within the state of Maine or even out of state. There was a John Williams Blair, born about 6 September 1857 at Portland, Maine, son of William and Mary J. Blair. He married Hattie (Cooney) Blair at New Market, New Hampshire on 30 January 1886. John W. Blair is listed in the 1860-1940 Censuses of Portland, Maine. 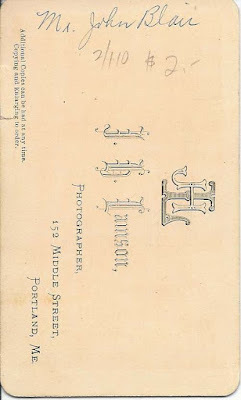 Another John Blair in the Portland, Maine area was John Blair, Jr., born in Scotland about 1864, son of John and Mary Blair, enumerated in the 1880 Census of Portland. There were other John Blairs throughout the state of Maine. If you recognize the young man in the CDV from your family albums, please leave a comment or contact me directly.